Don’t miss reading this article detailing the top 6 reasons why Broadway musicals are great. 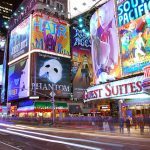 If you have never been to a theater event or Broadway show, these reasons may make you change your mind. Read what you been missing out on.